Here’s what we think about the latest iVOOMi smartphone. iVOOMi, a Chinese smartphone brand has come up with a new budget smartphone called iVOOMi i2 Lite. 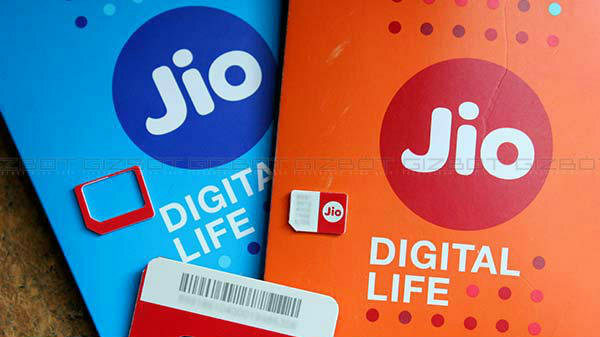 This device has been launched for a pricing of Rs. 6,499 and is exclusive to the online retailer Flipkart. The latest offering from iVOOMi is packed with all the modern-day features such as facial recognition, FullView display, dual-cameras and more. Back in May, iVOOMi released the i2, which is also a budget smartphone with similar a display and dual-camera arrangement. The i2 Lite is a toned-down variant of the i2 with downgraded RAM and storage space. We say so as the latest offering from the brand comes with 2GB RAM and 16GB storage space while the iVOOMi i2 has 3GB RAM and 32GB storage space. 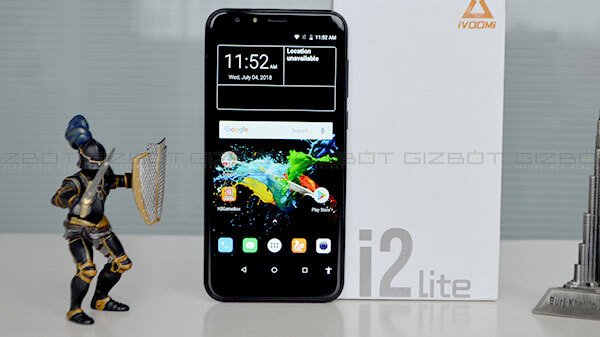 Let's take a look at the iVOOMi i2 Lite review to know what this budget smartphone has got to offer. The iVOOMi i2 Lite boasts of a FullView display with 18:9 aspect ratio. However, the bezels aren't thin. 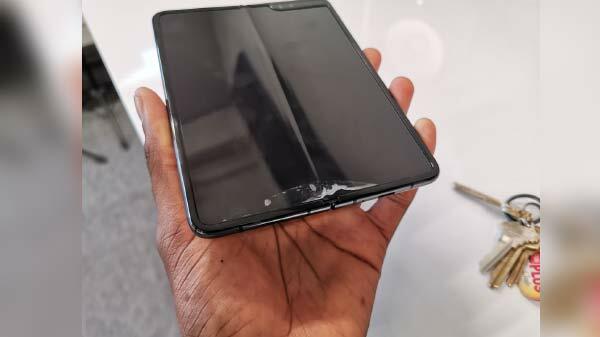 The screen is surrounded by noticeable bezels at the sides and thicker ones at the top and bottom. The screen size and its aspect ratio make the device comfortable for a single-handed usage. The smartphone flaunts a mirror-like finish rear its rear. The plastic back cover can be removed to uncover the hybrid SIM slot at its top right corner. If you were thinking that you can remove the battery, we should tell you that it can't be removed. There is a dual-camera setup at the top left corner with the LED flash positioned between the two camera lenses positioned vertically. Though the plastic back cover looks good, it is a fingerprint magnet, which is quite annoying. Just like the iVOOMi i2, the left edge of the smartphone is barren without any keys. At the right, there are the volume keys and the power button. The 3.5mm audio jack and microUSB charging slot are positioned at the top while the bottom houses just the speaker grilles. The device bestows a 5.45-inch display with a HD+ resolution of 1440 x 720 pixels and an aspect ratio of 18:9. The screen is vibrant and colorful with accurate colors. Notably, the screen is responsive too. However, there is some improvement needed for the display to be on par with those seen on rival smartphones such as the Redmi Note 5. The iVOOMi i2 Lite employs a 1.5GHz quad-core MediaTek MT6739 processor under its hood. This processor is teamed up with 2GB RAM and 16GB storage space. There is a hybrid SIM slot supporting up to 128GB of expandable storage. 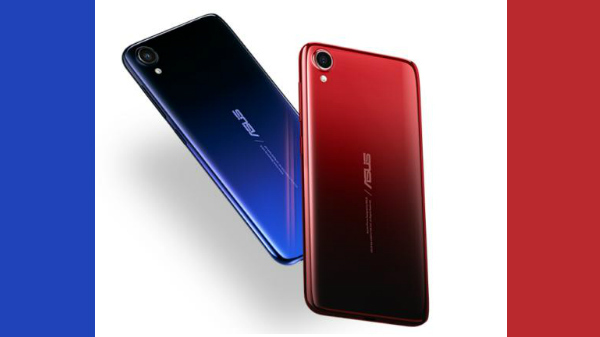 With these entry-level specifications, the smartphone handles basic gaming, social networking, browsing and other daily tasks. During my review period, I didn't experience any lag on playing basic games as this phone is designed for such light tasks. The smartphone gets the power from a capacious 4000mAh battery operating under its hood. I could get a battery backup of over one day without any issue with Wi-Fi or 4G turned on the whole day and on moderate usage. The device took nearly 3 hours to get fully charged and I could witness overheating to some extent when it is plugged into the charger. The iVOOMi i2 Lite bestows a dual-camera setup at its rear. The module comprises of a 13MP primary sensor and a 2MP secondary sensor both stacked vertically at the top left corner. There is a soft flash module too. The camera uses a Sony sensor and has 5P Largan lens. This camera can click shots in various modes such as HDR, portrait mode and panorama. I should say that the camera can product mediocre quality shots with ample ambient light but there is a lot of noise when there isn't enough light. The bokeh mode resulted in an unnatural blur effect. In the HDR mode, the shots are bright even without enough lighting but the colors seem to have a washed out effect. You can take a look at the camera samples from above. Though the camera could have been improved, we cannot expect more from smartphone priced at Rs. 6,499. The selfie camera is an 8MP sensor with 4P lens. There is a selfie flash and FaceBeauty feature as well. This camera clicks decent looking selfies for instant sharing on social media platforms. With FaceBeauty turned on, the camera shots were decent. The device misses out on a fingerprint sensor just like the Oppo's Realme 1. But it comes with the Face Unlock feature. The facial recognition technology is pretty snappy. I could set it up in one go and it worked flawlessly. There are other smart lock features too under the Settings menu such as Voice Match, Trusted Places, On Body Detection and Trusted Devices. This smartphone runs Android 8.1 Oreo out of the box, which is an advantage given its price point. It doesn't run on stock Android but the custom skin is pretty light and lag-free. I found the apps to open quickly. The interface is clean and compliments the bright display. There are standard connectivity aspects on board such as Bluetooth, Wi-Fi, a hybrid dual SIM slot and more. What's interesting is the support for dual 4G VoLTE, which lets users stay connected to 4G VoLTE on both networks at the same time. iVOOMi i2 Lite is a good budget offering from the company. The device has notable features such as a tall display, compact design, impressive battery life and a snappy facial recognition technology. It is interesting to see the device arrive with Android 8.1 Oreo and dual 4G VoLTE despite its sub-Rs. 7,000 price point. It does miss out on a physical fingerprint sensor but that shouldn't be a major concern as there is Face Unlock. With these aspects, the latest offering from the Chinese player will compete against the likes of Honor 7A, Honor 7C, Realme 1 and Xioami Redmi Note 5. We hope the company offers a better camera performance in its future offerings to strengthen the competition.